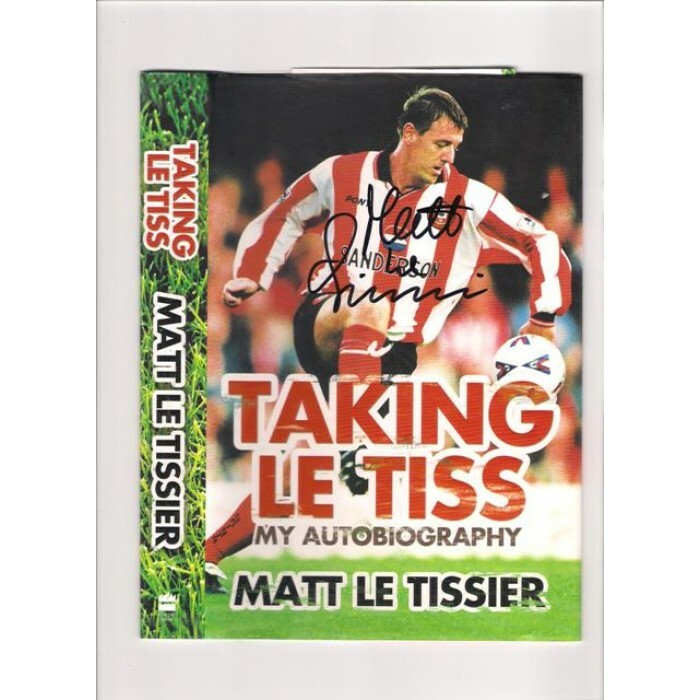 This is a hardback book written by former Southampton and England striker Matt Le Tissier entitled ‘Taking Le Tiss’ – my autobiography. 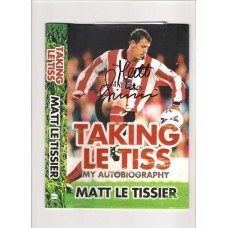 This book was published in 2009 and is hand signed by Le Tissier in black marker pen on the front of the dust cover only. The book itself is in very good condition, with all pages present and no creases. The dust jacket is also in fine condition with no worn patches or tears.